peek >> << backLooking across the Anacostia River, Dec. 2008. Using a "slider" to help grasp how much the intersection at 11th and O streets has changed. 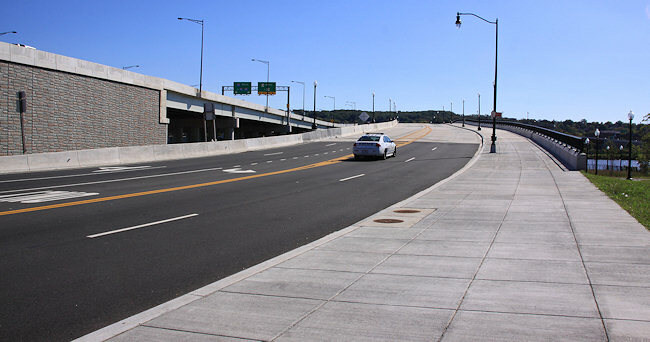 The "before" photo (left), from 2011, shows the embankment of the old outbound 11th Street Bridge dominating and the old inbound bridge visible at far left. 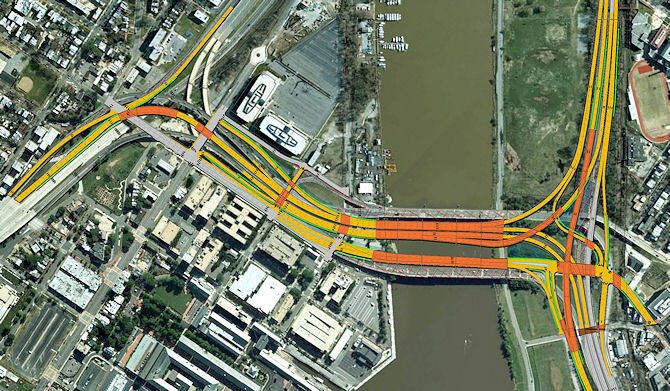 The "after" photo (right), from Oct. 2013, displays the vastly different vista, with the new freeway bridge at left and the local bridge at center, and the cleaned up Anacostia Riverwalk Trail approach at far right. Panoramas showing the new vista at 11th and L to the southeast, in 2009 and 2014. ... And at 11th and M, in 2008 and 2014. Two annotated photos of the view at 11th and M, looking east, to try to illustrate the considerable changes along 11th Street during this project. See the full progression. 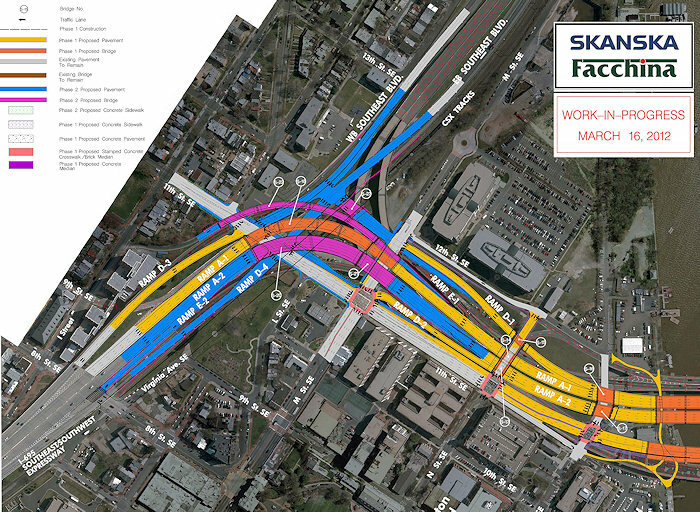 Another view at 11th Street, showing construction continuing on the new flyover that will take traffic from the Southeast Freeway to the I-695 freeway bridge. 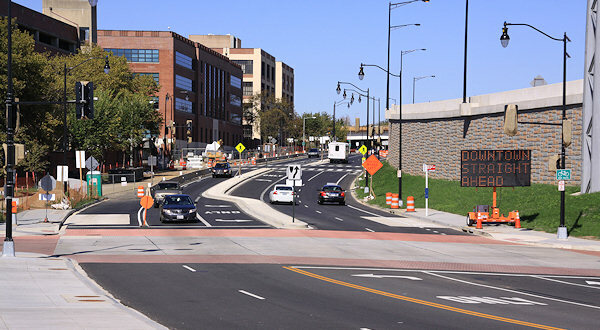 At left is where a new ramp from the freeway will deposit drivers at a signalized intersection at 11th Street, as part of the new Southeast Boulevard. May 26, 2013 - The same location, looking slightly different, and showing that approach to the riverwalk will be a bit less Escape-From-New-York-ish. August 29, 2015 - The same location, with the new exit ramp from the inbound freeway bridge open, on the right side of the photo.